Cold-working of most thermocouples has a significant, direct impact on the Seebeck coefficient which can lead to regions of thermoelectric inhomogeneity and accelerated drift. Cold-working can occur during the wire swaging process, when winding the wire onto a bobbin, or during handling by the end user—either accidentally or deliberately. Swaging-induced cold-work in thermocouples, if uniformly applied, may result in a high level of homogeneity. However, on exposure to elevated temperatures, the subsequent recovery process from the cold-working can then result in significant drift, and this can in turn lead to erroneous temperature measurements, often in excess of the specified manufacturer tolerances. Several studies have investigated the effects of cold-work in Type K thermocouples usually by bending, or swaging. However, the amount of cold-work applied to the thermocouple is often difficult to quantify, as the mechanisms for applying the strains are typically nonlinear when applied in this fashion. A repeatable level of cold-working is applied to the different wires using a tensional loading apparatus to apply a known yield displacement to the thermoelements. The effects of thermal recovery from cold-working can then be accurately quantified as a function of temperature, using a linear gradient furnace and a high-resolution homogeneity scanner. Variation in these effects due to differing alloy compositions in Type K wire is also explored, which is obtained by sourcing wire from a selection of manufacturers. 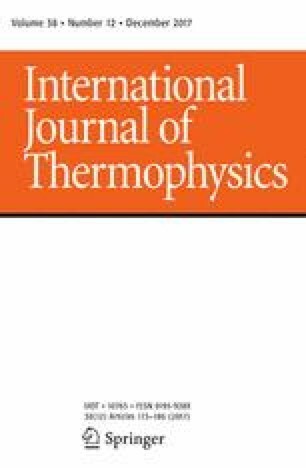 The information gathered in this way will inform users of Type K thermocouples about the potential consequences of varying levels of cold-working and its impact on the Seebeck coefficient at a range of temperatures between \(\sim 70\,^\circ \)C and \(600\,^\circ \)C. This study will also guide users on the temperatures required to rapidly alleviate the effects of cold-working using thermal annealing treatments. This work was carried out during a 2 month secondment by Adam Greeenen to the Measurement Standards Laboratory of New Zealand (MSL). Adam acknowledges funding from the UK National Measurement System, the NPL International Secondments Scheme and MSL in order to make this secondment possible. The authors would also like to acknowledge the efforts of Jonathan Pearce in regard to facilitation the secondment, and to MSL for being excellent hosts during Adam’s secondment.